In addition to being regulated by the Fair Debt Collection Practices Act (FDCPA), New Hampshire collection agencies are also regulated by New Hampshire debt collection laws. Discover: New Hampshire collection requirements, bad check laws (NSF), statutes of limitations for both debts and judgments, garnishments plus New Hampshire collection agency license and bonding information. 50 x fed. min. 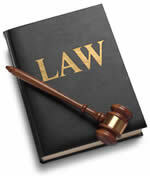 hourly wage – All future wages are exempt so that the court cannot issue an ongoing order. II. “Consumer credit transaction” means a transaction between a creditor and a consumer in which real or personal property, services, money or a form of money is acquired on credit and the consumer’s obligation is payable in 4 or more installments or for which credit a finance charge is or may be imposed. The term includes consumer credit sales, consumer loans, consumer leases of personal property and transactions pursuant to a seller or lender credit card, but shall not include leases of real property. III. “Consumer transaction” means a transaction between a consumer and a person who sells, leases or provides property, services or credit to consumers. The term shall not include leases of real property. IV. “Creditor” means a person who in the ordinary course of business engages in consumer credit transactions with consumers. V. “Credit” means the right granted by a person to a consumer to defer payment of a debt, to incur debt and defer its payment, or purchase property or services and defer payment therefor. No debt collector shall collect or attempt to collect a debt in an unfair, deceptive or unreasonable manner as defined in this chapter. XII. Threatens to assign or sell to another the account of or claim against the debtor with an attending representation or implication that the result of any such sale or assignment would be that the debtor would lose any defense to the debt or would be subjected to harsh, vindictive or abusive collection attempts. (b) For all damages proximately caused by the violation. (b) The violation was not intentional and resulted from a bona fide error or mistake notwithstanding the maintenance of procedures reasonably adapted to avoid any such error or mistake. III. In any suit to collect a debt, the debtor may raise, by way of counterclaim, set-off or recoupment, a violation of this chapter, and upon proof of a violation by a preponderance of the evidence, the court shall award damages to the defendant pursuant to this section and shall set such damages off against any recovery by the plaintiff. IV. Any debtor aggrieved by a debt collector’s practices in violation of this chapter may bring an action individually and/or on behalf of others similarly situated in the superior court of the county in which he resides to restrain such practices by temporary or permanent injunction. If the debtor prevails in an action authorized by this paragraph, he shall be entitled to his costs and reasonable attorney’s fees. V. If the court finds that an action initiated under this chapter was frivolous and brought to harass the debt collector, the debtor shall pay to the debt collector the costs of said action plus reasonable attorney fees. VI. Any violation of the provisions of this chapter shall also constitute an unfair and deceptive act or practice within the meaning of RSA 358-A:2 and may be enforced by the attorney general pursuant to RSA 358-A. Knowing and abiding to the proper New Hampshire debt collection laws is important for both creditors and collection agencies alike. There are debtor’s rights attorneys who are just waiting for creditors or collection agencies to slip up. If you mistakenly violate the New Hampshire debt collection laws, you could create a liability for your business and even open yourself up to a expensive lawsuit. Please note: New Hampshire debt collection laws can change over time, and you need to consult with an attorney before you use this information.